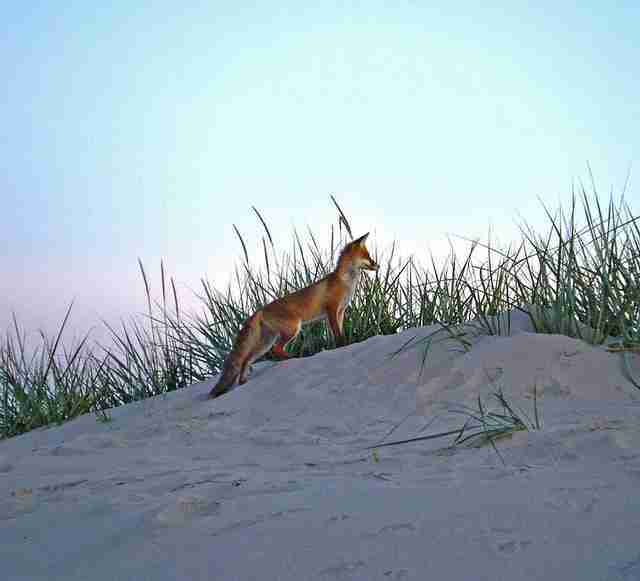 The friendly foxes are known as “unofficial ambassadors” and will often play on the beaches. 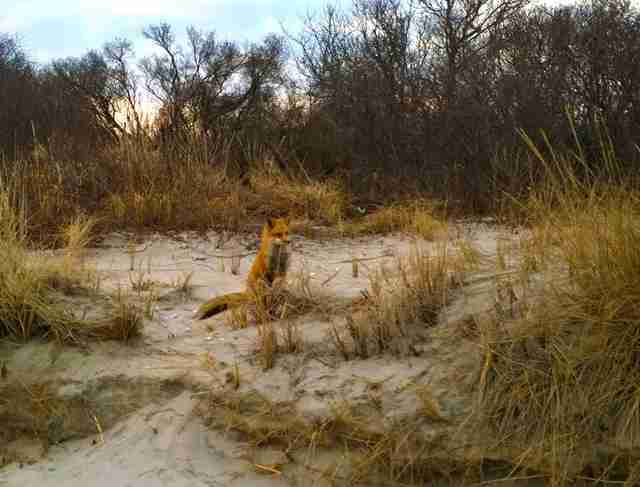 Beachgoers in Brigantine, New Jersey, have long appreciated seeing the island’s wild red foxes prowl and play among the sandy dunes. But in recent years, the foxes have been mysteriously disappearing. Now, residents finally know why: The state of New Jersey has been shooting them. On March 31, a series of disturbing photos of at least three dead foxes who had presumably been poisoned surfaced on a Facebook page dedicated to local beach town news. While the state’s Department of Environmental Protection (DEP) denied poisoning the animals, it did admit that officials have been actively trapping and shooting them for years. Larry Hajna, press officer for the department, said it’s been carrying out the killings to protect two species of endangered birds on the island. “In New Jersey, both the U.S. Fish and Wildlife Service and DEP’s Division of Fish and Wildlife have to make tough calls in order to protect endangered species, in this case bird species that are struggling to survive due to habitat loss and human encroachment,” Hajna told The Dodo. Hajna avoided questions about whether the department has tried to relocate the foxes to another area to see if it would be a successful alternative to shooting them. “In general, it’s not a good idea to place an animal in an environment it is not accustomed to,” he said. He also added that foxes can carry diseases such as rabies — but no cases of the disease among the foxes has ever been reported on the island. Angi Metler, executive director of the Animal Protection League of New Jersey, said her team is now trying to protect the foxes — just like it did last year for a population of Canada geese who had settled in a busy Edgewater park. The geese were being gassed to death as a means of population control. "Its antiquated policies dating back 125 years kills nearly a million animals in New Jersey [each year]," she said about the DEP. "It promotes killing programs under the rubric of protecting another species." 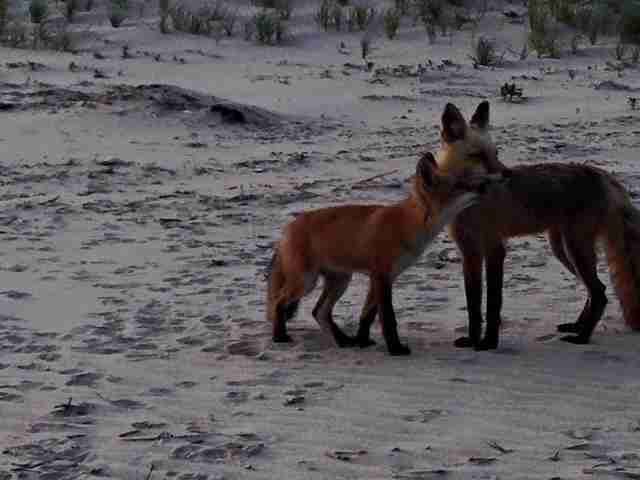 Locals who have watched the beloved foxes live peacefully for years are outraged that the DEP is shooting the beach’s “unofficial ambassadors” — largely because of their tame natures, and the fact that foxes are paying the price for human encroachment. Most of the foxes are docile and sit perched in the sand as people on their morning jogs run along the shoreline. 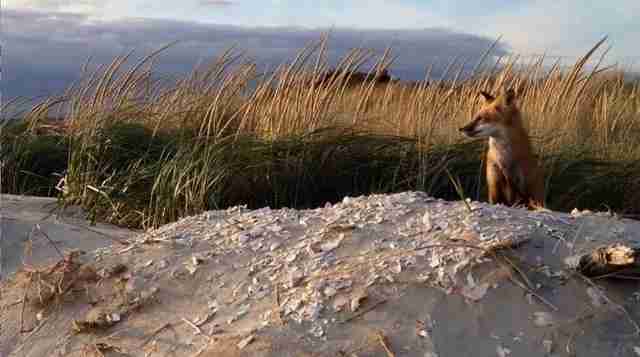 One fox, nicknamed Briggy, has been the star of one photographer’s beach pictures for years. Others expressed disappointment that the birds are at risk due to human interference — and that the state is putting foxes to death instead of curtailing human behavior. 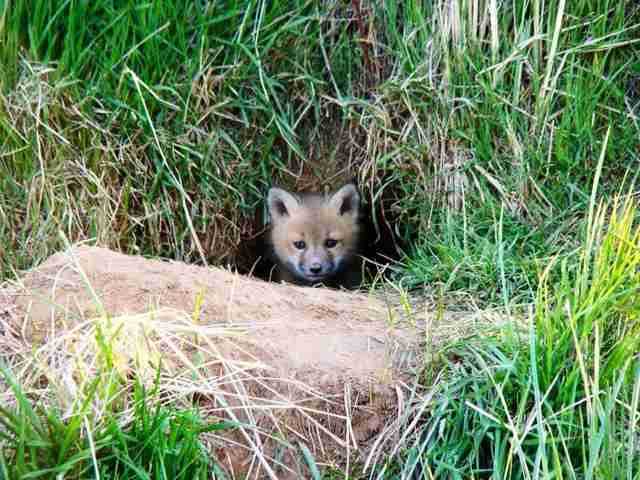 Trapping the foxes for their fur is also legal on the island between November and March. 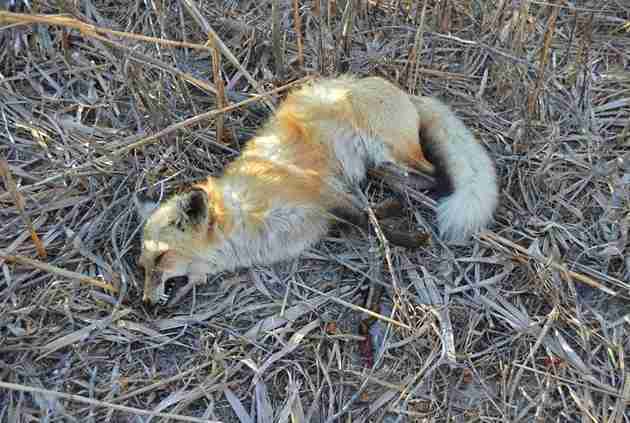 New Jersey locals and animal advocates across the country have rushed to call on the DEP to explore alternative options to ensure the safety of both the iconic foxes and birds. The department has currently not announced plans to find a new approach. 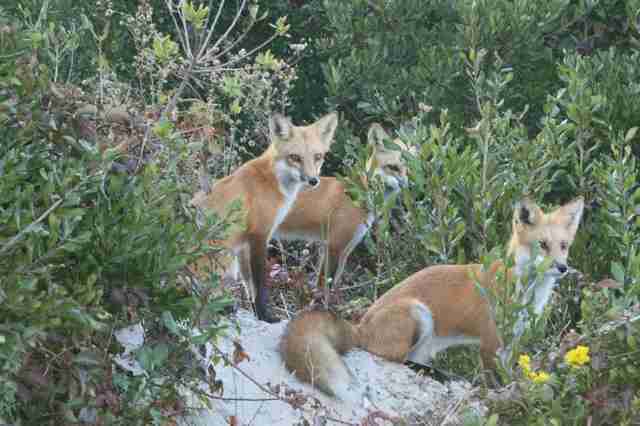 You can learn more about protecting the Brigantine foxes by checking out this post. You can also make a donation to the Animal Protection League of New Jersey.